And usher in the Spring. I like to share these opening words for the monthly overview. This little ditty is at the beginning of the February calendar in the 2019 Farmers’ Almanac. We’ll hope it’s prophetic. Here’s February’s information about the phases of the moon and signs of the zodiac. This information can be used for indoor planting or in a greenhouse and soon we can begin some limited outdoor planting of cold-weather-loving veggies like peas that, according to my late “pea adviser,” are supposed to be in the ground by Presidents’ Day, Feb. 19. February begins – and ends - with the dark moon in force. The dark moon rules until the new moon – or no moon visible in the sky – arrives at 4:04 p.m. EST Feb. 4. The light moon is then in force until the full – or dark moon - returns at 10:54 a.m. on Feb. 19. Dark moon continues until the new – or light – moon comes back into force at 11:04 a.m. March 6. If you can only utilize one aspect of this system for planting – moon’s phases or zodiac signs – I would suggest following the phases. February begins, and ends, with a so-so sign, so that’s where we will begin, too. So-so days: These aren’t particularly fertile nor destructive, just so-so. Capricorn (the knees), Feb. 1-2, 28; Aquarius (the legs), Feb. 3-4; and Sagittarius (the thighs), Feb. 25-27. There are eight days this month ruled by the so-so signs. Changes: This month we again have seven perfect days for making changes, Feb. 1-3, 25-28. The stretch continues through March 5, making it an almost-unheard-of 12 days! See more about that below. Fertile days: These are the most fertile signs in the zodiac. Here’s the breakdown as they occur this month and the phase of the moon which is in force. Pisces (the feet), Feb. 5-7, light moon; Taurus (the neck) rules Feb. 10-12, light moon; Cancer (the breast) Feb. 15-16, light moon; and Scorpio (the secrets), Feb. 23-24, dark moon. There are 10 days again this month ruled by the most fertile signs: Scorpio, Pisces, Taurus and Cancer. All but the Scorpio days find the light moon in force. Here’s when they rule this month: Aries (the head), Feb. 8-9; and Leo (the heart) Feb. 17-18. There are four killing days this month – and that’s the minimum. From a planting point of view, I love months like this! Gemini days: Gemini (the arms) rules Feb. 13-14, with the light moon in force. As I mentioned above, these are perfect days for planting peas – and they come right before Presidents’ Day! If your ground is dry enough and you’re a fan of peas, these are your days. Flowering days: Virgo (the bowels) rules Feb. 19-20 and Libra (the reins) is up for Feb. 21-22. There are four flowering days in February. If you want to start early spring flowers indoors, you just can’t beat these days. Making changes: I mentioned it above and I’m going to go into more detail here, if you have changes to make like stopping smoking, starting a diet or exercise program, weaning small children or animals, scheduling elective surgery – anything that requires making a change – the best time for that is when the moon is in the dark phase and the signs are going out of the body beyond anything that functions. Because of the way the moon phases and zodiac signs are rolling out, we’re up to seven in February that fit the formula perfectly and when you continue the stretch into March it makes for 12 perfect days. You have so many opportunities. The perfect days are Feb. 1-3, 25-28, March 1-5. The signs involved are Sagittarius/thighs through Pisces/feet by way of Capricorn/knees and Aquarius/legs. Pouring gravel: If you have gravel to pour on a drive or road on your farm, do that when the light moon rules, which is Feb. 5-18. Planting grass seed: I believe the best time for planting grass seed is during the dark moon in February. This February those days will be Feb. 1-3, then most of the 19th through the end of month. These are all days ruled by the dark moon. You may email me at pcase211@gmail.com; call or text 502-682-5995. Visit Facebook and like my page devoted to this information. 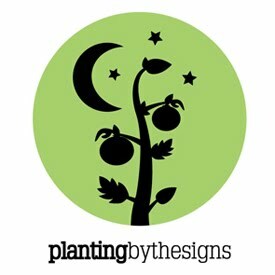 It’s Planting by the Signs.